The archival print of this illustration is available in my Etsy shop. 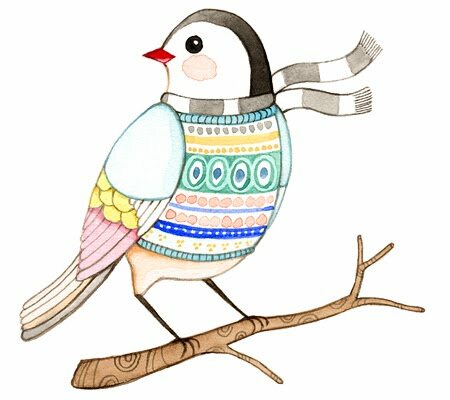 What a cozy little birdie :) Love it. Very cute little bird! Nice to see it in a picture too! You have the sweetest style! I love the colors and patterns in this. This is sooooooo sweet and adorable! It's so cheerful! I love it! I'm glad to have found your work through IF. Really charming and original. love the patterns and the colours! Your birdie is fantastic! Dearet sweet afi, this bird is soo sweet!! I love her sweater!! Love it! Have a lovely merry sweet day friend! Lots of LOVE to you! Quite a lovely sweater... birds are my favorite people! 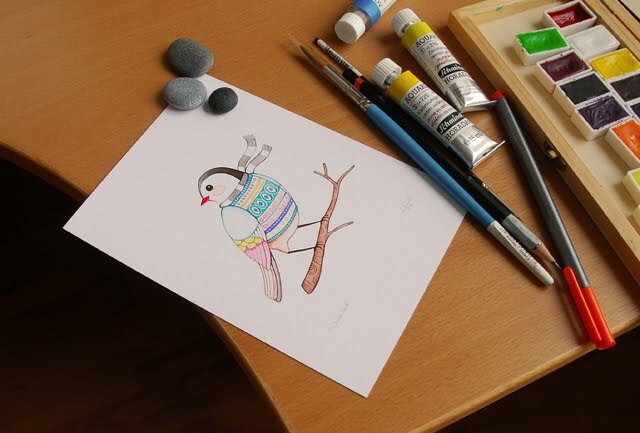 Your illustration is creative and sporty.